with my ESP8266 board flashed with ESP8266Basic. 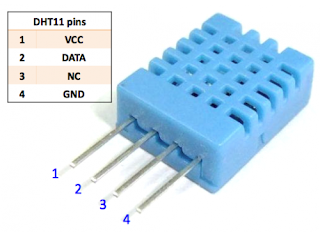 For this test i did NOT use the KY-015 Temperature and humidity sensor module (From the Arduino 37in1SensorKit ) with a DHT11. However that module should also work fine. 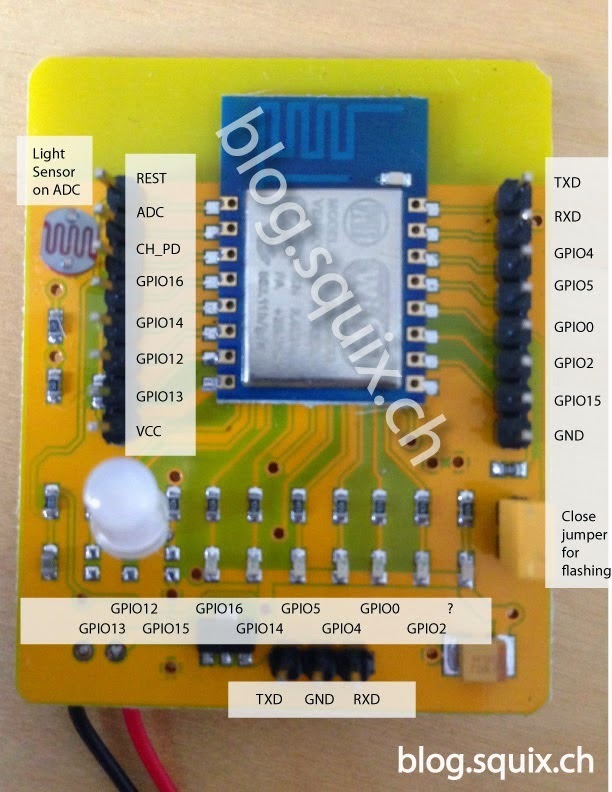 There are also some ESP8266 development modules that contain a DHT11 module. I wanted to use a "bare" DHT11 on my testmodule to later use this in a hardware project. On this module i found the labels for the pins GPIO3 and GPIO5 are swapped. ( also when using the DHT11 ).
' GPIO5 = 4 GPIO4 = 5 with my test board !